Natasha transitioned to venture capital after a career in banking built at prestigious firms such as JPMorgan and HSBC. Warren Buffett is—most would agree—a living legend at this point. His annual shareholder letter is perhaps the single most awaited piece of content in the investment community, generating endless articles and commentary for weeks following. Much of what has been written about him reeks of hagiography: we all have heard about the Oracle of Omaha’s frugality, his passion for Coca-Cola, and his childhood entrepreneurial exploits. It is probably impossible for any individual investor to replicate his success or even to get precise investment tips from his annual letters. However, Warren Buffett’s investment strategy and philosophy can be a very useful guide for anyone, since he focuses on long-term, economically sustainable results. In this article, we analyze his style and philosophy, try to understand his current concerns, and spend a bit of time reflecting on the mistakes from Warren Buffett’s investment history to try and glean some useful and broad recommendations. Warren Buffett is probably the most known proponent of value investing: his investment philosophy is deceptively simple. Berkshire Hathaway’s objective is “to buy ably-managed businesses, in whole or part, that possess favorable and durable economic characteristics.” Obviously, the economics of the transaction itself need to be favorable. Insurance companies: a source of cheap cash used to fund the ownership of the other assets through the “float” of the insurance companies. He also believes in looking at long-term economic value, net of all costs, not just those that are considered accounting expenses. He is wary of mark-to-market practices, as he believes that volatility in the bottom line is a distraction. In order to perform a calculation for intrinsic value, however, one needs to invest only in businesses that are not too complex to understand. Why limit leverage? Warren Buffett famously is a very prudent investor: He always starts with the point of view of his shareholders, who clearly do not want to lose money. 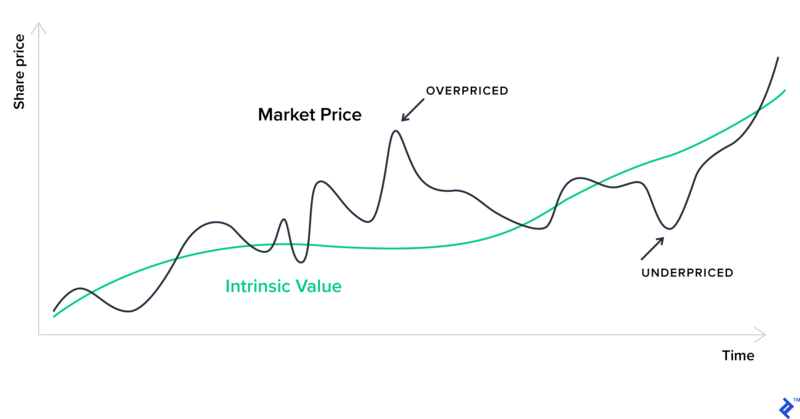 He thus begins by looking at the potential downside for any of his investments (in term of capital losses, not MTM volatility) and uses that criterion for the first yes/no decision. While leverage most often does lead to superior returns, it exposes investors to large potential losses. Buffet’s aversion to this scenario is further clarified by his cash-buffer philosophy and his understanding of the importance of underwriting strength for insurance businesses. Why (and when) should a company retain earnings? Berkshire Hathaway includes a retained earnings test in his owner’s manual. 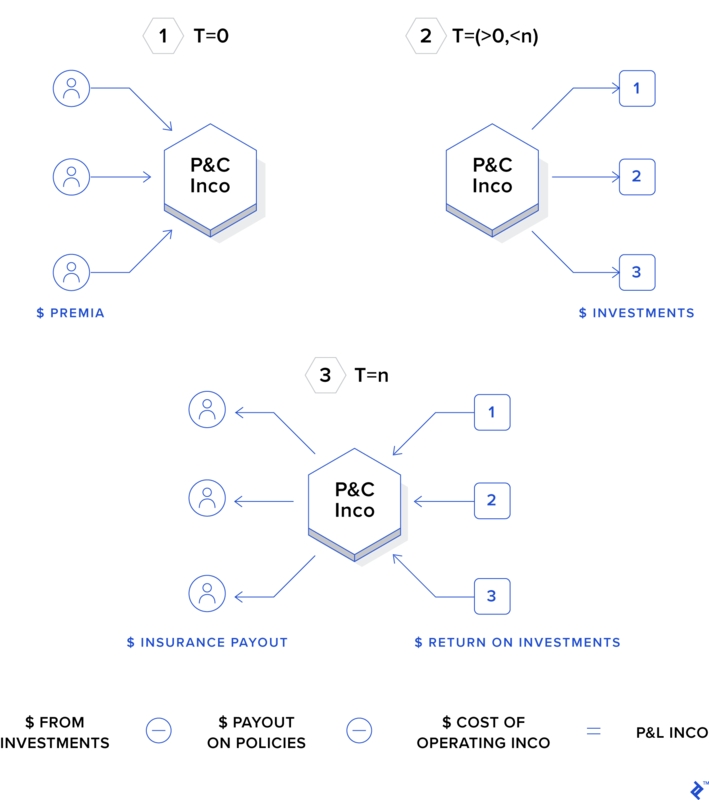 The driving idea behind this principle is that businesses, if well-managed, can utilize these earnings better than an investor can, either by reinvesting them in the business or by repurchasing their own shares. Why should a business repurchase its own shares? The fundamental idea behind this is that the managers of a soundly run business are able to generate higher returns for the shareholders than they would be able to obtain themselves through other investments. Not only this, but they also benefit from an increase in ownership (without additional investment) as the number of floating shares is reduced. Has Buffett’s Thinking Changed Recently? What Are His Key Current Concerns? Warren Buffett is renowned for being humble: He credits much of his investment successes to what he calls “The American Tailwind,” meaning the sustained prosperity that the US has enjoyed since the end of World War II. He points out that simply investing in the stock market at the time he made his first investment would have generated a return of 5,288 for 1 (net of any fees and taxes). This economic buoyancy is set to continue in his opinion, and he has thus not invested recently in currencies or much outside of the United States. He does, however, think that, at the moment, valuations for private companies are too high, particularly for those with good economic prospects and a long life. This is a view that I wholeheartedly share, particularly for high-growth tech companies—here is the link to the 2019 KKR macro outlook which I found to be very interesting reading. This view is reflected by Berkshire Hathaway’s latest asset allocation amongst the five pillars we described above: He has prioritized marketable securities and kept additional resources in cash and cash equivalents, hoping to come across an appropriately valued company to purchase. An additional risk that Warren Buffett has flagged is that of a catastrophic insurance event; ones that he has mentioned are environmental disasters and cyber attacks. Where Has Buffett Gone Wrong? Even Warren Buffett has made several errors during his long career, and he is very open in discussing them. We will cover some of them here to derive some interesting lessons. Waumbec Mills consisted of a group of textile mills located in New Hampshire that Berkshire Hathaway acquired in 1975 for less than the value of the working capital. Effectively, they took everything over for free, outside of the excess receivables and inventory—understandably, a deal that would be hard to turn down. How did he then go wrong? He was seduced by the low price at which he could secure the transaction and misinterpreted the long-term economic viability of the milling industry. A key lesson that he has derived from this incident and others is that focusing on bargain hunting is not necessarily conducive to long-term value. He now prefers to own smaller stakes in better companies than entire struggling businesses. Clearly, the textile industry has not been that auspicious for Mr. Buffett. It is also strange to think now of Berkshire Hathaway as a business on which he lost a lot of money. This is perhaps a cautionary tale on revenge and acting out of spite. He was already a shareholder in the business in 1962 when he received a verbal offer to purchase his shares from the man that was running Berkshire Hathaway at the time, Seabury Stanton. When he received the official offer at a lower price than had been agreed, he decided to no longer sell, but instead buy all the BH stock he could get his hands on and fire Stanton. He was ultimately successful in his revenge but was also now the proud owner of a failing textile business. Dexter Shoes was a shoe business based in Maine that made good-quality, durable shoes. Warren Buffett believed that this quality and durability provided them with a competitive advantage when he acquired Dexter Shoes in 1993. Unfortunately, by 2001 Dexter Shoes had to close their plants because of the increased competition of cheaper shoes produced outside of the US. Not only was the investment thesis wrong, but losses from the transaction were made even worse by the fact that the acquisition was fully made in Berkshire Hathaway stock. This meant it hurt shareholder value, as he gave away some of their shares for something that ultimately was worthless. He has since become a big proponent of holding even larger cash buffers for acquisitions and of using cash only. In 1987, Warren Buffett acquired a $700 million stake in Salomon Brothers, a prestigious bond trading house and investment bank. This was shortly before large write-downs caused by the stock market crash on Black Friday. This wiped a third off the value of BH’s investment. Over the next few years, the financial results of the investment bank remained extremely volatile and a number of scandals emerged, culminating in 1991 when it appeared that the trading desk had been submitting fake bids for government bonds, violating primary dealer rules set by the US Treasury, all with the knowledge of management. Warren Buffett was forced at this point to step in and take over the running of the firm, letting many people go and enforcing a culture of compliance. This was, in his words, a very “not fun” time, and a distraction from his duties of running the company. There were many problems at Salomon that persisted until it was sold in 1998: an aggressive and lax managerial and trading culture, excessive leverage (at one point, it had become $37 of assets vs. $1 of capital, higher even than Lehman when it collapsed). Tesco is a large British supermarket chain in which Berkshire Hathaway had invested in 2006. He became one of the largest shareholders in the grocer, despite them issuing several profit warnings. In 2013, BH started selling some of their participation, albeit at a slow pace. When in 2014 the company was hit by a large accounting scandal for having overstated their earnings, BH was still the third largest shareholder. The lesson Warren Buffett drew from this expensive mistake was to be more decisive in getting out of this investment when he had lost faith in management and their practices. What Can an Investor Learn from Buffett’s Mistakes and Strategy? It is very hard to say if the success of Warren Buffett and Berkshire Hathaway can ever be replicated even by very talented and shrewd investors. It was, as Mr. Buffett himself admits, the product, at least in part, of a prolonged and unprecedented period of economic growth and prosperity. Not only that fact, but the dynamics in global macroeconomics are changing; some of the largest and more valuable companies in the world are now in China or other emerging economies, and this may make it more difficult for global investors to both have access to them as investments and to be able to influence management as effectively as Mr. Buffett has been able to do in his home country, the US. Finally, Mr Buffett famously tends to stay away from technology investments and prefers more traditional business models. In the future, however, it is more likely that that will be the sector that is most likely to deliver great returns as we witness what Jeremy Rifkin has called the Third Industrial Revolution. Long-term assets that will appreciate the most in value, like his holding in private companies. These can be a pension fund, ETFs, or angel investments. A more strategic portfolio made of stocks and bonds, when there are interesting buying opportunities in the markets (keeping in mind the caveat against bargain hunting). A cash buffer against potential rainy days. And finally, a few sources of passive income that can then be reinvested. Secondly, I also share the belief in the importance that Warren Buffett assigns to building long-term relationships and working with people he trusts and admires intellectually but who also importantly share his values. This is a great lesson for any business relationship, independently of whether it is as business partners or more simply as bosses or colleagues. Last but not least, another great lesson is saving and investing are the true keys to creating wealth, and that one should start as young as possible, perhaps even at the age of 11 like the Oracle of Omaha himself. How do I become an investor like Warren Buffett? To learn from Warren Buffett’s investment style and philosophy, the author tries to draw broad lessons like working with people that you deeply trust and dividing the portfolio into four pillars: one for long-term income, one more strategic, one for passive income, and finally, a cash buffer. Warren Buffett is a famous proponent of value investing. Warren Buffett’s investment style is to "buy ably-managed businesses, in whole or in part, that possess favorable economic characteristics." We also look at his investment history and portfolio. How did Warren Buffett take over Berkshire Hathaway? Warren Buffett was a shareholder in Berkshire Hathaway and interested in selling his stake. After getting into a disagreement with the man who used to run it, he instead purchased more shares and ousted him. He views this as a big mistake as it goes against his investment style and philosophy.